We are a functional neuroimaging research group at the Center for Medical Physics and Biomedical Engineering and the MR Centre of Excellence of the Medical University of Vienna. Closely connected to the Vienna General Hospital, one of the largest hospitals in the world, and not too far away from the University of Vienna, the MR Centre is an ideal place for our fMRI group for interdisciplinary clinical and basic biomedical research, as well as collaborations in biological psychology and cognitive science projects. Furthermore, the improvement and development of novel acquisition, data processing and analysis methods are central topics of our group. Our newest hardware and methods developments allow for concurrent TMS/fMRI applications. We recently published a paper explaining the neural correlates and the role of dopamine circuitry when solving problems with an Aha! or Eureka-moment. Great news! Martin Tik has been selected to receive a Merit Abstract Award for the 2017 OHBM Annual Meeting in Vancouver (Canada) and gave a talk on Depression and TMS as a treatment option. Depression is one of the most common psychiatric diseases and although the prognosis with gold standard treatment options is good, some patients are facing lifelong restrictions. 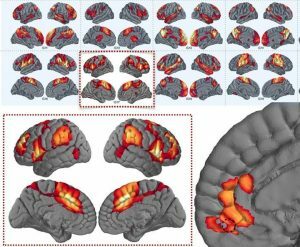 We were able to extract one specific fMRI resting state network with the power to discriminate full remission from early response to pharmacotherapy. This network was found to be sensitive to repetitive Transcranial Magnetic Stimulation (rTMS) in an independent sample of healthy subjects pointing towards a distinctive mechanism of depression recovery unraveled by rTMS. We argue that rTMS over left DLPFC triggers neural processes that are comparable to those responsible for maintaining a stable healthy mental state after full remission. We have recently published a new paper on the influence of repetitive transcranial magnetic stimulation (rTMS) on resting-state connectivity. Research in this area explains the mechanism behind the beneficial effects of brain stimulation in depression (see above) and other psychiatric disorders. 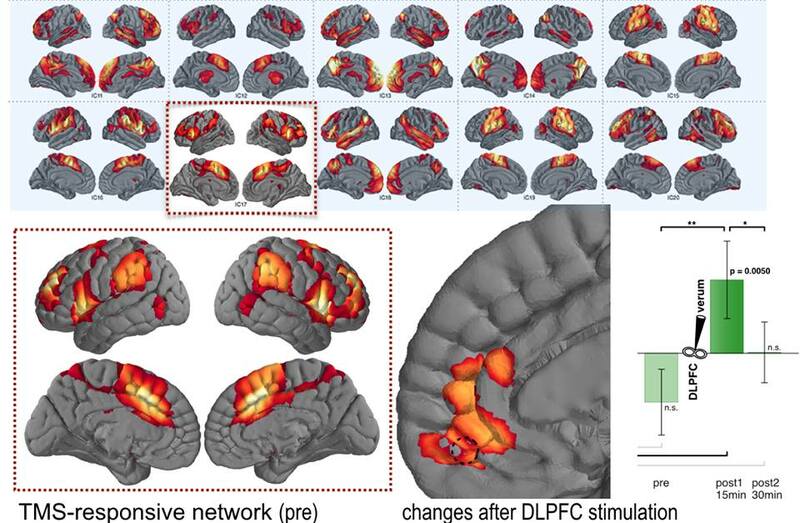 Tik M, Hoffmann A, Sladky R, Tomova L, Hummer A, Navarro de Lara L, Bukowski H, Pripfl J, Biswal B, Lamm C, Windischberger C. Towards understanding rTMS mechanism of action: Stimulation of the DLPFC Causes Network-specific Increase in Functional Connectivity. NeuroImage. 2017. April 2017 – Off to Hawaii! Great news! 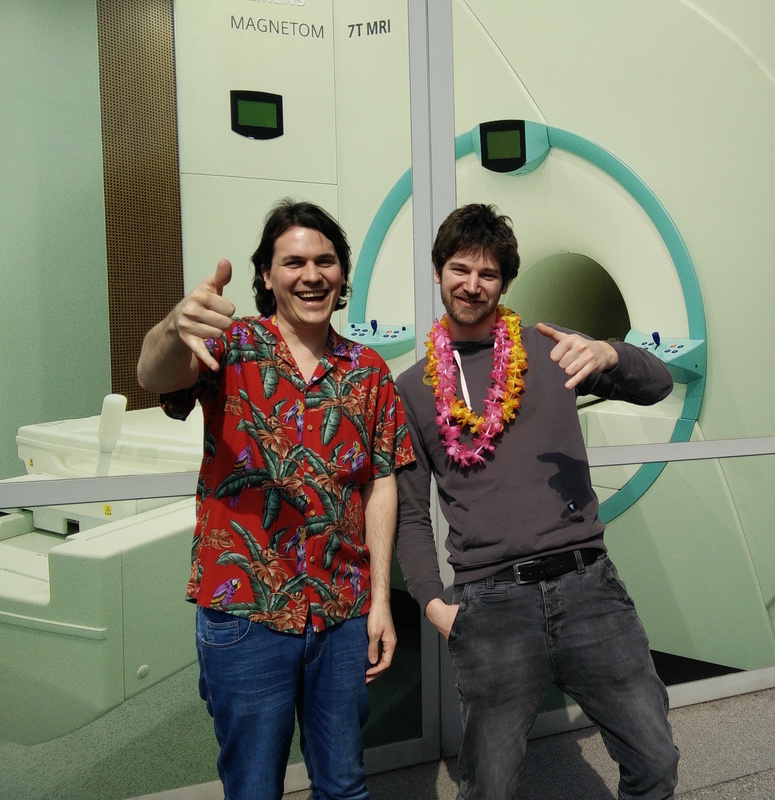 Michael Woletz and Martin Tik have been selected to receive a Trainee Stipend for the 2017 ISMRM Annual Meeting in Honolulu (Hawaii, USA). Michael Woletz will present his work on the development and evaluation of a T1 phantom at 3 and 7 Tesla. Martin Tik’s presentation will be focused on the benefits of using two newly-developed MRI acquisition coils in combination with transcranial magnetic stimulation for neuronavigated concurrent TMS/fMRI experiments.